Lazy summer days are meant for eating outside, and Jerry’s Foods has some ideas for your picnic. Minnesota is full-swing into the heat of summer. We’re doing just about everything outside while we have the chance. Eating outside is on that list—but trying to find a restaurant patio that doesn’t have a 45-minute wait and also has some shade for the friend that burns easily is a task some of us just don’t have the energy for. We came up with an alternate plan for you: Pack a picnic! Jerry’s Foods’ deli operations manager Mary Jo Stromberg put together the perfect basket of shareables that can make it through a warm summer day without refrigeration or fear of spoiling. So spread out the blanket, put Ella Fitzgerald and Louis Armstrong’s Summertime on the Bluetooth speaker and enjoy a lazy afternoon picnic. This picnic starts with a classic. Your first thought might be, “I’m not making pasta,” but this nutty, salty cheese is delicious on its own (and is not to be compared with the powder in the green canister). It also pairs wonderfully with the other items in the basket. The second cheese is also a bit nutty, has notes of caramel and melts in your mouth. It’s softer and creamier than the Parmigiano-Reggiano, but similarly is great on its own or paired with some salty cured meat, below. This aged ham is the perfect accompaniment to the cheese. Slightly sweet and buttery, it adds a touch of sophistication to any charcuterie spread. And if you’re looking for some fruit to add into the mix, this pairs particularly well with summer melons and fig. Sliced thinly, this peppery cured meat can be used to wrap around one of the cheeses. Slice it a little thicker, and it’s good to just pop in your mouth. It’s got a bit more flavor than the prosciutto and is harder, making it great for stacking on top of a cracker or for adding to a sandwich. Of course there must be bread! Slice up this small baguette, and top it with the meats and cheeses, or slice it lengthwise and start building a sandwich. The smaller size means you can bring as many or as few as you need. This is the item that brings everything together. Drizzle it on the baguette in place of mayo for the sandwich, or simply to add another layer of flavor to the meat and cheese combination. And you’ll easily find a place for it in your kitchen after the picnic. “The truffle oil lasts forever. You only need a drop or two for amazing flavor,” Stromberg says. What is a cheese and charcuterie picnic without some stuffed olives? Salty and tangy, these are the perfect picnic item—no plate necessary. Eat plain or pair with the meats and cheeses for one delicious bite. These will satisfy that sweet tooth without weighing you down or melting like our other favorite summer treat (ice cream). They’re simple but just decadent enough to make the afternoon feel like a special occasion. Plus, if you don’t finish them, they’re the perfect snack to tuck into your drawer at work. Consider sweet and sassy updates on a drink classic. Of course, a picnic needs a summertime beverage, and there’s one that stands the test of time. Lemonade is every kid’s first entrepreneurial product, and even adults can’t help but reach for a glass on a hot summer day. But we’ve come a long way from the florescent yellow drink in the paper packet that’s too sweet (or not sweet enough), and we shouldn’t have to settle for boring. Over at Jerry’s Foods, Stromberg recommends taking lemonade (like Smart Fresh-fresh squeezed lemonade) and adding Amarena cherries. The dark syrup makes for a beautiful drink, and the cherries add just a hint of bittersweet for a more mature flavor profile on the childhood classic. Then again, you could skip the niceties, and make the adult summertime classic: skip and go naked. 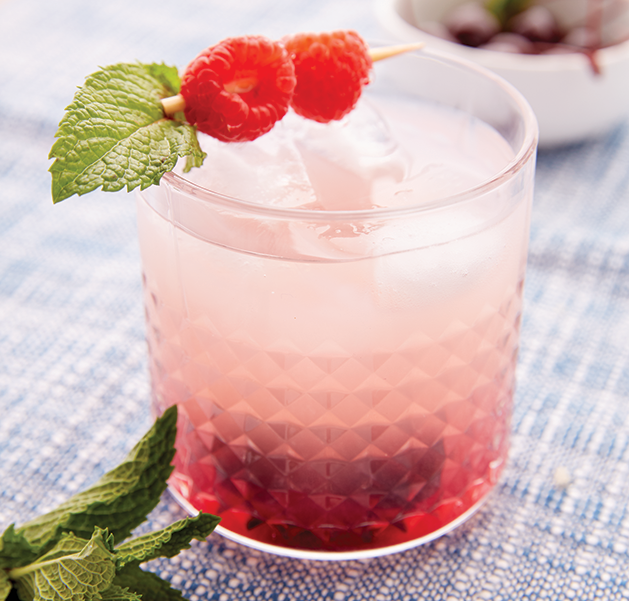 It’s sweet, packs a punch and is perfect for that summer party. Fill a punch bowl with ice, add beer and lemonade concentrate, and stir to blend. Fill the empty lemonade can with vodka and add to the mix. Pour into glasses, and garnish with lemon.